Leading installment loan provider AmeriCash Loans is excited to announce the release of its new online application that gives applicants more flexibility, freedom, and control over their money. The new, seamless online application features an improved interface that allows users to choose when, where, and how they receive their loan. AmeriCash Loans has always been and will always be committed to the customer first. Implementing these new features in the AmeriCash Loans online application makes our customers' lives easier. In 2010, AmeriCash Loans launched its online presence to make applying for a loan easy, fast, and secure for customers who were unable to apply in store. Since then, the online loan application has undergone several revamps and upgrades to make it easier and more intuitive to use. With the new online loan application launch, customers will experience a sleek new interface with easy-to-follow navigation that makes applying for an installment loan an even smoother and more accessible experience than before. New and returning AmeriCash Loans customers will also experience two new features when they apply for an installment loan. Residents of Illinois, Wisconsin, and Missouri can choose to receive their loan via electronic transfer, meaning the loan funds will transfer directly to the customer’s bank account. 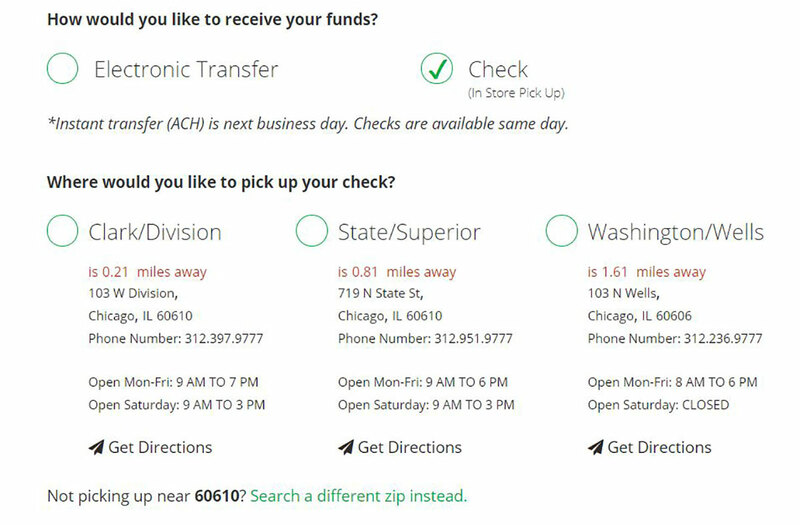 The AmeriCash Loans loan application process is now easier for customers in Illinois, Wisconsin, Missouri, Arkansas, Florida, Indiana, Iowa, Kansas, Michigan, Minnesota, Oklahoma, and South Carolina that prefer to receive their loan in check form as well. Once an applicant enters their personal information, work information, and bank information, they will have the option to choose a day, time, and store that is convenient for them to pick up their check from. There are 65 conveniently located AmeriCash Loans stores across the United States. The electronic transfer and improved check pickup options make it seamless to apply for a loan on the go. Now, when a customer is out and about, they can apply for their loan via the AmeriCash Loans mobile online application and pick up their money as a part of their errands or normal daily routine, where and when it works best for them. In addition to the new features implemented in AmeriCash Loans’ online application, the company is upgrading its store interiors – a true testament to the company’s mission to make the loan application process as seamless and comfortable as possible for its customers. Founded in 1997, AmeriCash Loans is a leading provider of alternative consumer financial services throughout the metropolitan Chicago area and Illinois. It started as a small office across from the train station on the main street of Des Plaines. Within five years of opening its doors to borrowers, it had expanded to 65 brick-and-mortar branches located in Illinois, Wisconsin, Missouri, and South Carolina. Today, the company provides short-term financial products that allow borrowers to access larger loan amounts for longer terms and at lower rates than traditional cash advance loans. Its short-term lending portfolio is comprised of installment loans, signature loans, and other related financial services. In 2003, AmeriCash Loans launched the Refer-a-Friend program, which gives its customers a chance to earn while sharing their great customer experiences with their friends and family members. Customers can apply for loans either personally or through its online application process. Contact AmeriCash Loans via its website, http://www.AmeriCashLoans.net, or by calling 888.907.4227. 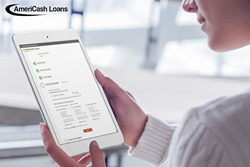 Leading installment loan provider AmeriCash Loans is excited to announce the release of its new online application that gives applicants more flexibility, freedom, and control over their money. The neLeading installment loan provider AmeriCash Loans is excited to announce the release of its new online application that gives applicants more flexibility, freedom, and control over their money. The new, seamless online application features an improved int AmeriCash Loans - Updated ApplicationThe new, seamless online application features an improved interface that allows users to choose when, where, and how they receive their loan. The electronic transfer and improved check pickup options make it seamless to apply for a loan on the go via their mobile device at AmeriCashLoans.Net.The electronic transfer and improved check pickup options make it seamless to apply for a loan on the go. Now, when a customer is out and about, they can apply for their loan via the AmeriCash Loans mobile online application.